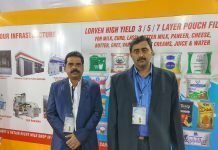 UBM India, one of the leading exhibitions organizer, is all set to host the first edition of ProPak India for the processing and packaging industries. The event aims to bring a comprehensive market overview and a conglomeration of internationally renowned professionals from India and overseas. Synonymous with quality, professionalism and service, ProPak with shows in Thailand, China, Myanmar, Philippines and Vietnam will be tailored to Indian requirements in the launch edition. 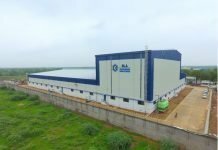 It will be well-supported by key associations such as Association of Food Scientists and Technologists (I) Mumbai Chapter (AFSTI), All India Food Processors’ Association (AIFPA) and Active & Intelligent Packaging Industry Association (AIPIA). ProPak India will be co-located with the well-established Fi India & Hi expo at the India Expo Mart, Greater Noida, between August 30 and September 1, 2018. Together with Fi India & Hi, ProPak India will bring an entire array of products and solutions pertaining to food ingredients, processing, technology and packaging to the industry players. 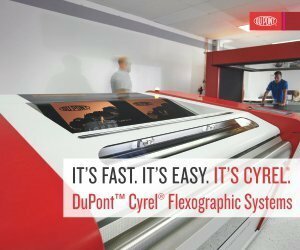 The show will host over 80 companies offering products and services in automation, testing and measurement, filing and sealing machinery, carton machinery, thermoforming, robotics, storage and transport, materials and consumables, and complete production lines along with allied services. Key exhibitors at the show will include Clearpack India, IWK Thailand, Ishida India, Gandhi Automations, Ace Technologies, Goma Engineering, IMA-PG, among a host of others. The show will benefit manufacturers, distributors, government institutions and other key professionals associated with product development, R&D, QC/QR labelling, packaging development, procurement, supply chain, purchasing, and marketing and help them network, exchange ideas on trends and solutions, and conduct business under one address. 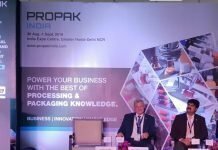 Alongside the exhibition, ProPak India 2018 will also feature an engaging and interactive conference on ‘New ways to promote healthy consumption’, ‘Fight counterfeiting and Engage consumers’ conducted by Active & Intelligent Packaging Industry Association (AIPIA) & interactive sessions by World Packaging Organisation (WPO). Experts from industry will also share their view on “Economic Impact of Trade Barriers on Indian Food Processing Sector” and “Novel Ideas for Start-up in Food Processing & Packaging Sector” that will help the show bridge the knowledge gap and offer many facets of the industry that are waiting to be tapped upon. The packaging industry shows prospects of growth from $32 billion in FY 2015 to $73 billion in 2020. The forecasts suggests that industry will grow 18% annually (flexible packaging at 25% and rigid packaging at 15%). 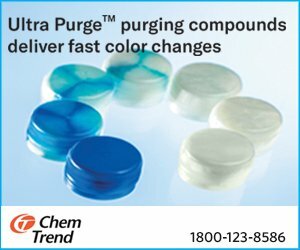 Increasing organized retail and the boom in e-commerce are also major growth drivers for the Indian packaging industry. 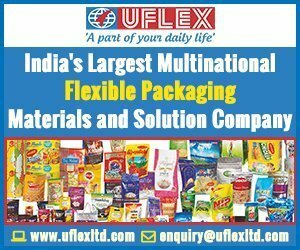 Its exponential growth has resulted in thousands of packets being delivered every day across the country;this demands quality packaging of the products. Changing consumer lifestyles towards ready-to-eat products are driving growth of flexible packaging; food itself accounts for 38% of the flexible packaging market.